The stage is set. New England and Los Angeles will square off on February 3, 2019, for the biggest football game of the year. And the biggest question we have here in Vegas is: where’s the best place to watch it? No matter where you are in town, there are viewing parties in every Station Casinos location across Vegas. Hey, it’s closer and cheaper than going to Atlanta for the game. And if you already have plans, you can still take the excitement of the sports book with you. Get set up with an STN Sports account and get in the action from anywhere in Nevada. Yes, you can even place in-play wagers while everyone else is busy fighting over the guacamole. On the east side of town? Watch the game for free at Kixx, Brewer’s Bar, and the Race & Sports Book at Boulder Station. Stop in to Kixx bar for free admission to their viewing party. Food and beverage specials are available during the game. VIP reserved seating available – call 702- 283-3072 for more information. And mark your calendars by responding to the Facebook event. Fiesta Rancho is bringing the party with a free, open to the public Big Game Viewing Party held in Cabo Lounge. Food specials include $2 hot dogs, $3 big dogs, $3 nachos, and $1.50 soft pretzels. Drink specials include $2 Coors Light/Miller Lite Drafts, $10 Coors Light/Miller Lite Buckets, $4 Heineken/Coronas, $4 Shots Jim Beam, Jameson, Patron Silver or Crown Royal, $5 Absolut Bloody Mary’s, and $8 Grey Goose & Red Bull. On the Southeast side of town, join Fiesta Henderson for their Big Game Viewing Party, open to the public and free of charge inside Coco Lounge. Drink specials include $4 Shots (Jim Beam, Jameson, Patron Silver or Crown Royal), $5 Absolute Bloody Mary, $8 Grey Goose & eEd Bull OR Red Bull Editions. Food specials include $2 hot dogs and $3 nachos. Locals in Henderson, we recommend stopping into Green Valley Ranch for the big game as they will have an entire space dedicated to viewing the game. Free of charge, GVR will open their Estancia Ballroom (21+) for complimentary viewing of the Big Game. Food and beverages will be available for purchase. Doors open at 1 p.m. Be on the lookout for football decor and a fun atmosphere to watch the game with other locals. Everyone’s favorite pizza joint will host their Rockin’ Blitz Brunch from 10 am – 3 p.m. featuring bottomless mimosas or sangrias for $15 or Italian bloody mary’s for $10. Their food specials include: Pizza Rock Benedict ($12); Breakfast Potato Skins ($10)); French Toast Ambrosia ($11); and pizza specials: Double Sausage and Eggs ($18); The Mexicana ($15); Veggie Me Delicious ($13). Borracha will feature the game and opens its doors with $5 Bud Light drafts, $20 Bud Light pitchers, and tailgate food specials. The New Classic, Palace Station, will get to show off their new renovations to football fans this February with viewing in the sports book, bars, bBd’s, and Boathouse. Enjoy “Beer, Burgers, and Desserts” at bBd’s during the big game with food specials in a fun atmosphere. The Big Game Viewing Party starts at 2:30pm. For $50, you get access to an all-you-can-eat buffet and giveaways. There are also drink specials and all-you-can-drink packages. 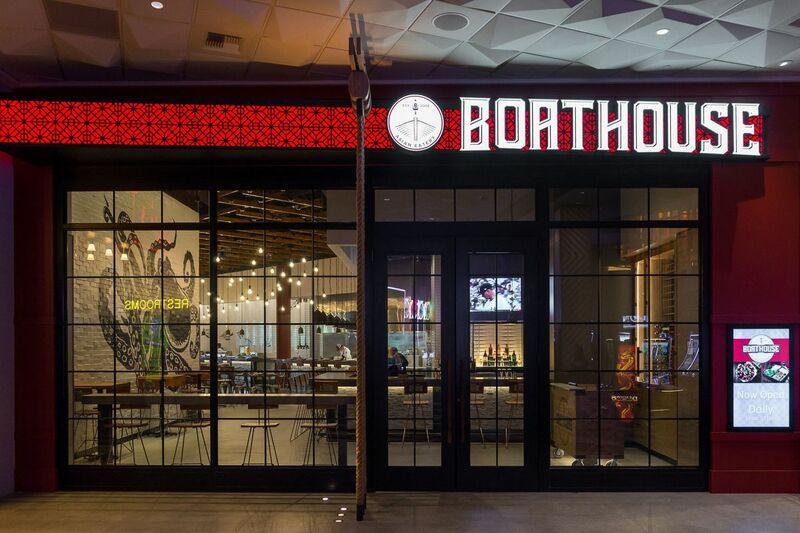 The hidden gem Boathouse will be showing the game along with delicious Asian-inspired food and drink specials. Little Tony’s will be open starting at 2 p.m. for the game. Their viewing party is $50 in advance, $60 day-of, and features all you can eat and drink. Enjoy pizza, pasta, hot dogs, chicken fingers, and other game day grub. Drinks include draft beers and well drinks. For reserved seating and pricing contact Little Tony’s at 702-221-6845. Summerlin locals, consider Red Rock the go-to spot for football viewing. 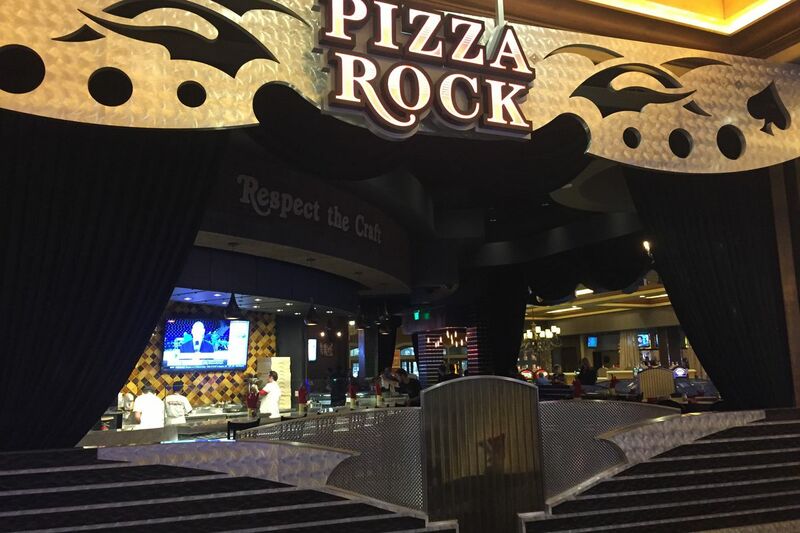 Starting at 2 p.m., guests can join Red Rock in Rocks Lounge for a $60 entry to their viewing party. It includes unlimited draft beer (selected brands), discounted liquor specials, $5 selected well drinks, and $7 super bowl specialty cocktails. Their Big Game Buffet is from 3-7:30 pm and includes game day fare like pretzel bites with beer cheese, pulled pork sliders, hot dogs, wings, caesar salad, and more. There are also plenty of options for elevated experiences which include private booths, bottle service, and exclusive service. For more information and to reserve your spots, contact 702-797-7030. Hearthstone will have an all-you-can-eat buffet for $50, in addition to $6 Bud Light drafts and $24 Bud Light Pitchers. Is a buffet too much? Don’t fret, Hearthstone’s regular menu will also be available. The Big Game party kicks off at 2:30pm. Lucky Bar, The Lobby Bar, Onyx Bar and the Race & Sports Bar will also be showing the Big Game. For more information about the Big Game, call 702-797-7517. Way up in North Las Vegas? The game will be at Santa Fe’s massive Race & Sports Book. No cover. Hop right off the 515 and stop into Sunset Station as they will be showing the game for free and open to the public at all bars and the Race & Sports Book. If you’re hanging around 95 and Rancho, Texas Station will have the game on the big screens in the Race & Sports Book. Tip: be one of the first to stop into the brand new Beaumont’s Southern Kitchen for some delicious smoked barbeque before or after the game. We’re continuing the tradition of hosting the largest 4th of July firework show in Southern Nevada once again! What happens when you take popular songs and then morph them into a lude, crude, and rude lounge act? You get Richard Cheese and the Lounge Against the Machine in all of their awesome glory. I first discovered Richard Cheese years ago thanks to their cover of Gin and Juice with no idea what to expect.